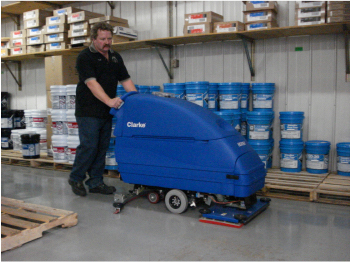 Janitor’s Closet Ltd. started out as a small janitorial service in Spencer Iowa, back in 1977. In just a few short years it expanded into the sales of janitorial supplies. Kris Van Berkum has been involved with the company since 1980 starting out as the secretary, and Larry Wigen since 1983 starting out as the delivery driver. In 1992 Kris and Larry became business partners and that is when their journey began. A new look and a new name, JCL Solutions is the extension of the quality service and the competitive philosophy we have built our business around. We are very pleased that several members of the JCL team have been with the company for the last 25 plus years. Sadly, In June of 2016, Kris lost her battle to cancer. We will honor her memory forever at JCL. We will continue on as she would want us to do! The passion Kris and Larry share for this company is what makes us strong. Larry will continue to be a great leader and carry out their visions for the future. We are very proud of our heritage. In 40 years, we have grown from a small local supply company, to a medium sized regional firm with a branch in Sioux Falls, South Dakota, and a promise to keep the traditional small-town integrity and service to our customers. In 2016, JCL purchased Chemco Inc., and together we have worked hard to strengthen our position in the regional janitorial sales market. Our combined experiences have enhanced our ability to serve our customers with improved efficiency. A big Thank You to all of our customers past, present and future! Our success depends on you!